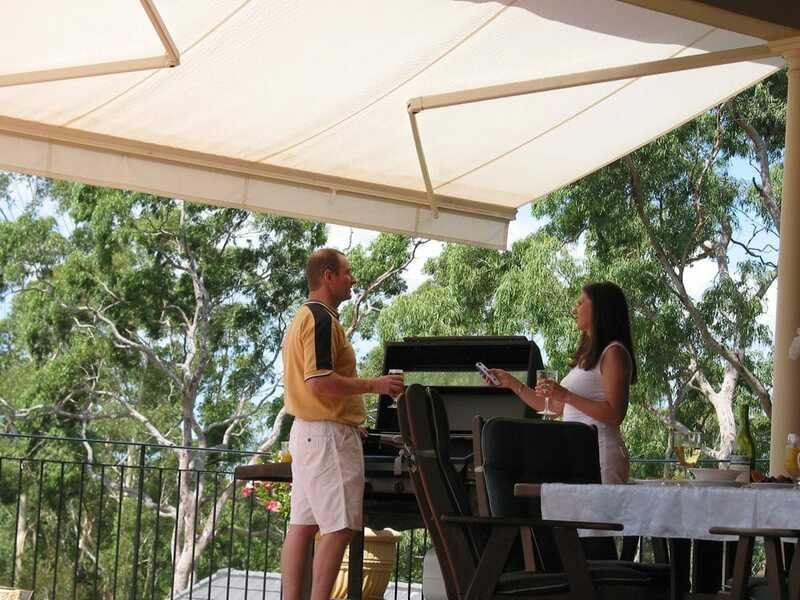 Awnings are ideally suited to the Central Coast lifestyle. Custom made fabric awnings are an effective way of preventing solar heat gain through windows by stopping heat before it reaches the glass. Premier Shades are one of the largest distributors of fabric and aluminium Awnings on the Central Coast. We have many awnings on display in our showroom at Wyoming(18/482 Pacific Highway), and can also supply references from local Central Coast residence where we have installed window and patio awnings. Awnings can offer great protection from the morning and afternoon sun, as well as allowing you to enjoy outside entertaining areas for extended times of the year. Awnings are the most effective option for slowing down the heat entering your home. It can often mean the difference of 5-15 degrees on an uncovered window, and that's before you start up the air-conditioning! Premier Shades range of awnings is very comprehensive with many photos available of local Central Coast installations. Please visit our Gallery of Exterior Blinds and Awnings on this website to see pictures of local awning installations on the Central Coast. Cafe Style Outdoor Blinds, Zippered PVC External Blinds, Ziptrak Awnings with PVC, Acrylic, Mesh or Canvas, Auto-lock Arm Awnings, Pivot Arm Awnings, Folding Arm Awnings, Shop Front Awnings, Canopy Awnings, Motorised Awnings, Straight Drop Awnings, Carobolite Awnings, Aluminium Awnings.